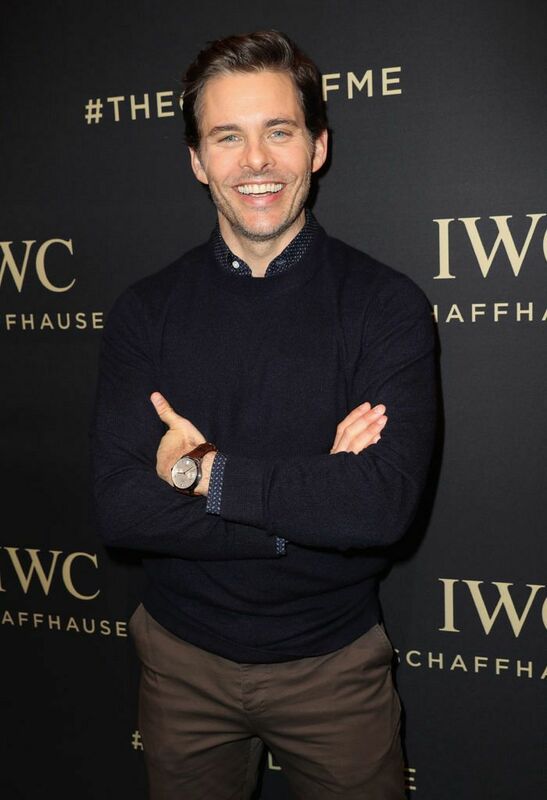 One of the last people I saw before I left Australia for SIHH in January was James Marsden. He was on television, in dusty dungarees, with a vest, boots and a cowboy hat. His face was etched with pain. He’d just been shot by Ed Harris. Again. The television show is Westworld, the character is Teddy, and my wife and I remain obsessed with both. We’d binged our way through the first season in a matter of days, and then, a 27-hour flight and a broken night of sleep later, there I was with that very same character (Teddy) in real life. Reassuringly for you, dear reader, my interview questions extend well beyond his role on the incredible series, quickly focusing on watches. We also discuss how his obsession with timepieces began, and how he’s now seeking to pass the passion on to his son. But given the circumstances, the conversation does have to start with Westworld. JM: So is it freaking you out that I’m here and alive and there are no bullet holes? T+T: I was going to say, I could shoot you to make you feel more comfortable? JM: Well that’s what I’m used to. T+T: If you’ll allow me the segue, why do you think that, like your Westworld character, Teddy, mechanical watches are hard to kill? Why are they still so desirable in a digital world? JM: I don’t believe it’s going to be an ‘either or’ thing with smart watches. There’s always going to be an industry for classic, handmade watches. I’m obsessed with watches. And by the way, I’m a fan of your website. I follow you through Watchville. But when you think about what goes into making a timepiece that runs by itself, that generates its own power, or that you wind – the intricacies of that amaze me. 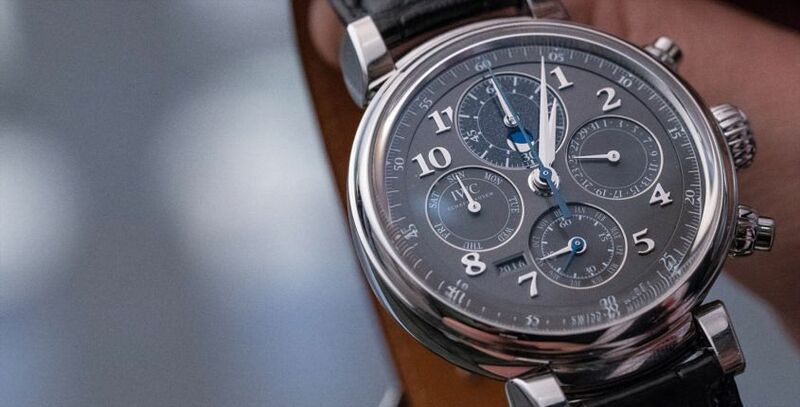 You look in the back of this [he says motioning at his own IWC Portugieser], you look at the escapement, the mainspring, you think about the physics of it – how is this possible? I have a great appreciation for how that’s done. I’m trying to get my son into watches and he’s into them – obviously not as much as I am – he’ll find something to like about them too, you know, the little details. And you can literally spend $5200 and get a great automatic watch, that if you’re stranded out in the middle of the woods, as long as you’re moving, it’s going to keep going. Or you could spend even less. Like one of those Seiko 5s. As long as you can generate movement, a good mechanical watch is going to outlive you. I know they require some maintenance, but I just marvel at the technical genius behind an automatic watch. T+T: When did your obsession with watches begin? Were there any turning points? JM: I remember one of the first watches my ex-wife gave me was a dive watch, it was a TAG Heuer from years and years ago. I was wearing it on a movie set one day and the woman who was directing was like, “Look at you sitting there with your amazing watch.” It was the first time I got a compliment on a watch from a woman. So good. Delicious. T+T: Is the ongoing addiction about going ‘up’ in terms of spend, brand, complications? JM: If I had all the money in the world, I don’t think I would go and spend it on a super, super grand complication. I’m a purist as far as simplicity and design go. You can make such a statement with some of the simplest designs, and I just want it to feel like it’s part of you and not like this giant rock that’s sitting on your wrist. As you can tell I’m actually a big watch fan. T+T: I can tell. How has your relationship with watches changed over the years? JM: When you’re young you think of it less as a statement piece, you think of it less as even a fashion thing. My first watch was a Casio calculator watch or a Swatch. I remember the first time I put one on, it made me feel more adult. It made me feel important, like I was a businessman or something. As I get older and as I learn more about horology and watchmaking and the fine craftsmanship that goes into them, I am becoming more obsessed with watches. I do think it’s the one thing for me. We wear so little jewellery. There are just a few things that men need and one is a great watch. A guy should have a great pair of shoes, a great suit and a great watch. It doesn’t have to be an expensive watch. It can be something that speaks to who you are and your identity. T+T: Are you a one-watch guy or do you change it up day to day? JM: I find myself wearing different watches for different events and different moods. As I get older I sort of go backwards into classic tastes. I’m not one to fully embrace the newest, biggest, fully crazy carbon fibre latest thing. T+T: Speaking about time more generally, what was difficult in Westworld about being a robot whose memory was constantly being erased? JM: It was strange as an actor – you had to have a specific approach to it. It was something like I’d never played before. I had many, many questions about what degree of consciousness I had. How would I react in this situation? Do we sweat? Do I remember anything? That was the big thing. Remembering. People forget, maybe they don’t, that when I meet the man in black and my gun doesn’t work and he kills me, that it may have happened 100 times already. 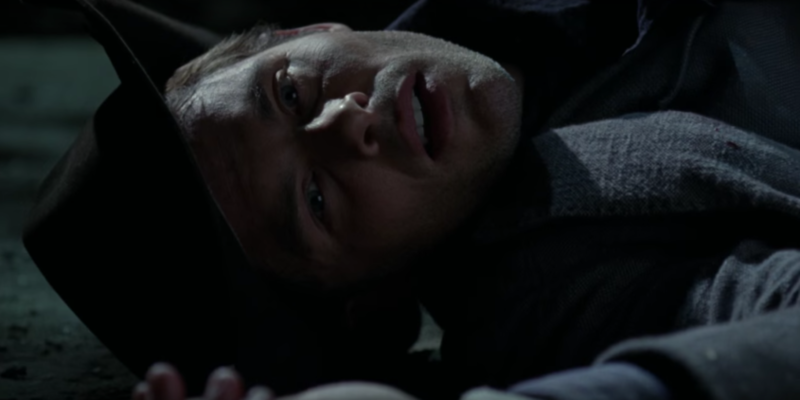 But Teddy doesn’t remember that, so he’s reborn every time. Not as a baby or as an infant, but mentally, he’s programmed to have a certain level of story and consciousness. But there are boundaries to that and there are parameters to that. So I guess as an actor, James Marsden knows that this has happened a few times, but Teddy doesn’t know, so I had to remind myself that in his timespace this is the first time this is happening for him. Timeline plays a big part in the whole show. It asks: What is time? What is human consciousness? All of these cerebral, philosophical concepts come into play, for sure. T+T: Where does Westworld sit for you in terms of its quality, and how proud you are of your work? Is it one of the better scripts, one of the better shows? JM: It started when my agency sent me the script. They said this is potentially HBO and they’re putting a lot into this. And as we know now, there’s so few films that are in between that independent movie that goes to a film festival and a $300m action film. Everything in between has gone away. All those adult-themed, intelligently written projects have gone away because the studios aren’t taking gambles on them anymore. All that material, all those writers, all those directors are migrating to cable, to HBO. I read it. I thought it was mind-blowingly interesting and I didn’t understand everything I was meant to. I had a Skype conversation with Jono (Director Jonathon Nolan) about limited details of my character. It was one of the best scripts I’d read in a really long time. I knew JJ Abrams and Jono would create something really special. 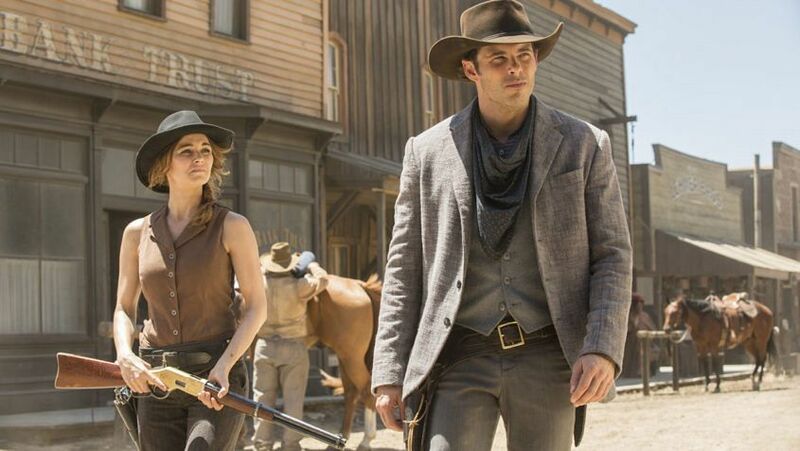 T+T: Who was signed onto Westworld when you joined the cast? JM: The cast that was already involved was Ed Harris and Anthony Hopkins. Ed and I came on at the same time. I knew that I wanted to be a part of this madness. It just bent my mind in a great way to think about where it could go storyline-wise. We didn’t even know where it was going as it was going! We did the first episode, then you get the second episode the week before shooting, the third a week before shooting – we had no idea where the story was going to take us. But I loved how ambitious it was. I loved how well-crafted it was. It took a long time to do the first season, but it was something where I thought, wow, I can shoot this in LA, go home at the end of the day and be with my kids. You speak about time, there’s no better barometer for time than children. It quickens. It’s like you’ve hit the chrono, like, bam! You’re not watching the minute hand, you’re watching the second! T+T: Do you try and sneak watches into your movies, or do the prop masters always choose them for you? JM: Before I realised my obsession with watches and watchmaking I didn’t think that much about it. The prop master would come up and say here’s a watch, put it on. 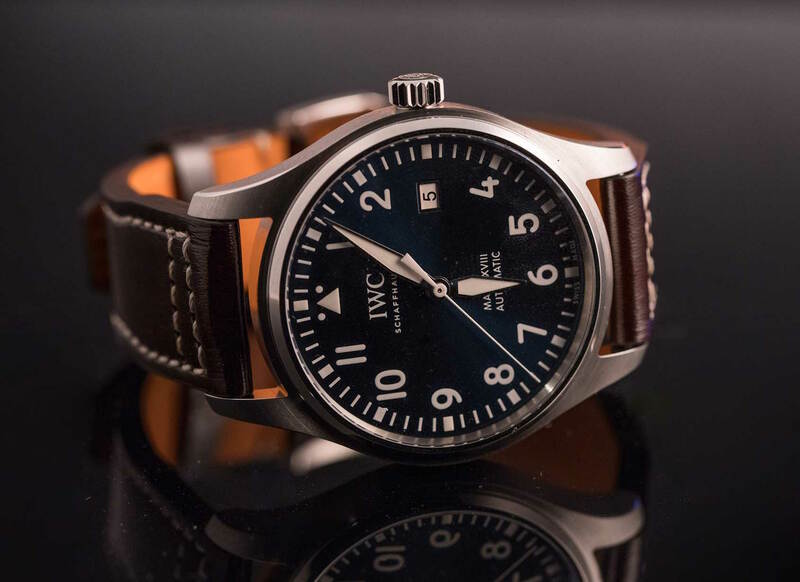 IWC was the first really special watch I was given as a gift when I wrapped a show. It was the last season of Ally McBeal. David E Kelley gave everyone on the cast a watch. It was the first really upper-tier nice watch that I’ve ever owned. It made me want to start learning about them. And, really, that was when the whole snowball avalanche started rolling. That was 2002. I learned about IWC at the time, so then I started learning… Now when I take on a role, I talk to the prop master and ask, who am I playing in this role? What would he wear? If this guy’s, like, a working class Navy SEAL, he’s going to need an Aquatimer with 30-bar, you know? T+T: A working class SEAL with an Aquatimer? JM: Ok, a Seiko SKX 007 dive watch! Maybe if he’s working class it’s not an IWC! But you know what I mean, a 200m, 300m ISO certified watch. Or if it’s a wedding scene and they hand me a watch with a date window, I’m like no, it should be time only. In fact if it’s a formal setting it should be time only. The watches are all fake anyway – they’re all repros of all these. So this is the degree of my obsession. It really matters to me. I’m such an extreme hobbyist. T+T: What is an ‘extreme hobbyist’? T+T: As a watch collector, are you striving to complete a collection? Is the hunger still there? JM: Oh yeah, it’s always going to be there. I need to make sure I remain in a place where there are watches I cannot afford and that I know I can’t ever have. Even if you have the money to do it, I think that there should still be things you don’t allow yourself to get. Otherwise you just start to lose the value of things. There should always be things that you pine for. JM: Safe queens are the worst. I would wear a $150,000 watch out. Maybe I wouldn’t go mud wrestling and tug-o-warring in it, but you still have to wear them. They were made to be enjoyed. They’re precious, but they’re not that precious. And actually, this is what I learned about collecting guitars – the more you play them, the better they sound. And I feel the same way about watches. There needs to be some life to them. Some soul to them. You have to wear them. If you’re buying a good watch, it will be robust. It wants to be worn. JM: They want you to wear it. Forget putting it in a safe forever, it’s not a good thing. There’s always amazing watches out there that I can’t have that I just kind of lust for. But I do believe that you don’t even need to spend a lot of money to get a great watch. You should have your beater watches, you should have your nice watches for your suits and everything. I’ve obviously got some really nice IWCs. I like their heritage and the intricacies of their movements. I also collect some vintage watches. Some old school stuff, those pieces that they just don’t make any more and that they’re not going to make any more. I treat my watches with great care, but they’re never looked at as irreplaceable, precious things. They’re meant to be enjoyed. You can bang ’em up against the door jamb. It actually just gives it character. Some of my favourite guitars have splits, and Willie Nelson’s guitar that I own has a giant hole in the soundboard. The more you play it the more the soundboard vibrates. But even now, you look at 1970s watches made in 18-carat yellow gold, the way they tarnish, the imperfections in the paint mixtures that went into the hands, the dial, the ageing of tritium, the oxidisation of that, you see that patina grow over time. Even the imperfections of a watch become the thing that is sought after. I guess what I’m saying is the more you knock it around, sometimes the more it ages and you use it, the more personality and the more soul the watch has.